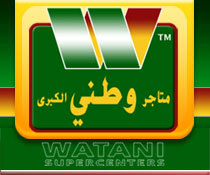 Welcome to Watani Supercenters. We pride ourselves on being the first Hypermarket Company in the Kingdom. We now have Five Stores in the Kingdom all offering you the 'lowest prices' and the best 'Customer Service'. We look forward to seeing you at one of our stores soon! This form is to be completed by the applicant personally. Do you hold any other passport هل تحمل أية جوازات سفر أخرى. X. I hereby declare that all the above details are to the best of my knowledge and belief correct. بهذا أشهد أن كل البيانات المذكورة عاليه صحيحة وأتحمل مسؤولية أية بيانات خاطئة. Copyright 2008 Watani Supercenters. All rights reserved.